OAKLAND, Calif. — Don’t worry about it, Bulls. There’s no shame in losing to the Golden State Warriors, especially when your two best players are inactive. So don’t feel too bad about the 123-92 loss at Oracle Arena Wednesday. 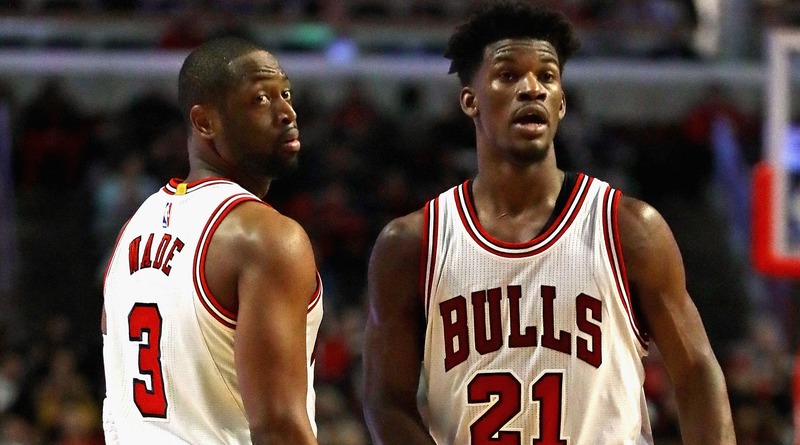 But even if Dwyane Wade and Jimmy Butler were active for Wednesday’s game, it’s highly unlikely that anyone would have predicted a different outcome. That’s where the Bulls are these days — a team that before last season made the playoffs seven straight times and 10 of the past 11 years is now stuck in the middle, no longer a contender for anything but a low playoff spot, and they’re not giving anyone any reason to expect that will change anytime soon. Chicago’s brand of aggressive mediocrity calls to mind another Eastern Conference foe who has been swallowed by its own compounding incompetence: The Knicks. No, the Bulls don’t have Charles Oakley fighting team security in the stands of home games, but they’re new to this whole rotting from the inside thing. In due time. Yes, both teams have disjointed and ideologically unsound rosters — creations of out-of-touch front offices and their hand-picked, controllable coaches — but those personnel men have bosses, the owners, and it’s their incompetence — or worse, apathy — that trickles down both organizations. Knicks owner James Dolan’s reputation for caring more about the bottom line than winning precedes him. So does his loyalty, only he’s loyal to all the wrong people. He backed Isiah Thomas time and time again as on-court failure and scandal became the hallmarks of the Knicks’ organization. 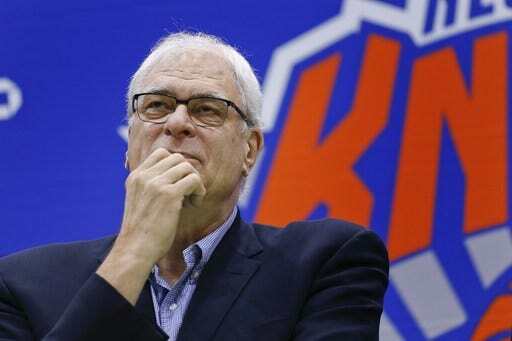 Then, when he finally had enough, he brought in Phil Jackson to clean up the mess. Jackson was lured out of retirement to fix the Knicks. By all accounts, he’s been “hands off” with the team, unless it’s to send a passive-aggressive tweet or extol the virtues of The Triangle, which is to say that he’s still in a state of semi-retirement. But Dolan hasn’t done a thing publicly to demand that Jackson is more hands-on with the team, and if he’s done anything privately, it clearly hasn’t resonated with the Hall of Famer. The truth is that Dolan is making money off the Knicks, so he’s probably more concerned about his bad band than his bad NBA franchise. The Bulls’ owner, Jerry Reinsdorf, isn’t seen around his teams as often, and it doesn’t appear that he’s in any sort of band, but he’s making many of the same failures Dolan has made for the last decade. He’s concerned about the bottom line — he has his rings with the two teams he owns, the Bulls and White Sox — and it seems as if his goal isn’t to add to the trophy case but to pad the bottom line. That’s bad news, because the Bulls’ arrow is pointing down and there’s little reason to believe it will point up again without major changes. 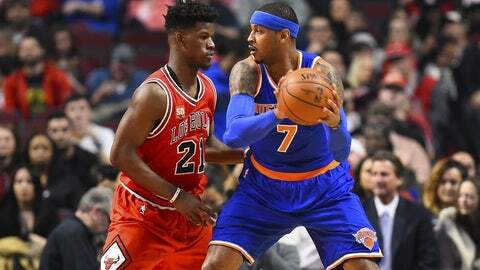 The Bulls grand moves this past offseason only compounded their problems. While Rajon Rondo and Wade might be upgrades from the departed Joakim Noah and Derrick Rose, they don’t compliment the team’s star swingman, Butler, in any way. None of the three players can shoot the 3, leaving the Bulls without an important part of a winning formula in the modern NBA. There is no positivity on the horizon either. The Bulls’ future looks even worse than its present — of the Bulls’ last five first-round draft picks, two have a slightly better-than-nil chance of being a viable rotation players (Doug McDermott and maybe Denzel Valentine), one has already flamed out of the league (Marquis Teague), one was traded for another castaway (Tony Snell), and one wasn’t even deemed good enough to play anything but garbage time on a night where the Bulls were down two in their rotation (Bobby Portis). 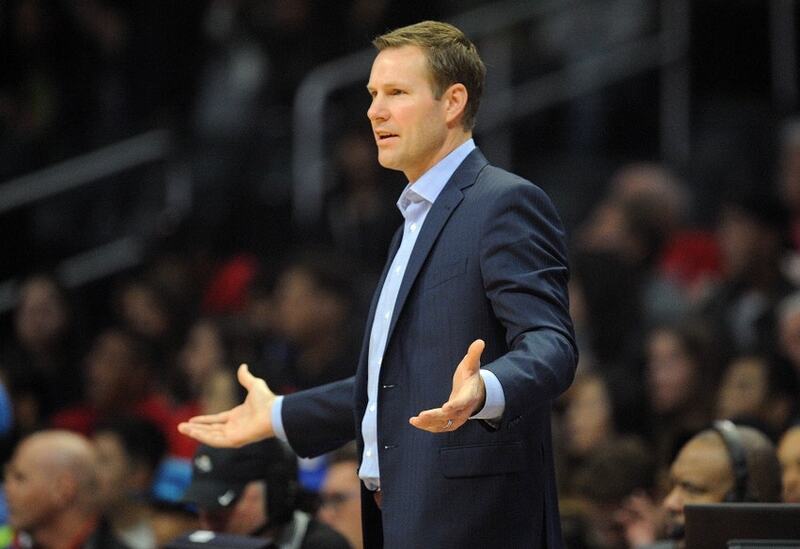 The Bulls could make a change to the coaching staff, but it’s not Fred Hoiberg’s fault his team, which was built like it was playing in 1998, plays like it’s 1998. The Bulls really should make changes in the front office and hire a new, innovative team president or general manager, but that doesn’t appear to be on the horizon either — Bulls executives Gar Forman and John Paxson are reportedly going to return next year. Because Reinsdorf refuses to fire the duo known around Chicago as GarPax, and they, in turn, refuse to fire Hoiberg and show little indication that they’re actually open to trading away the only asset that could bring about a full-on rebuild in Chicago, Butler, the Bulls appear to be heading down the same path the Knicks went with Carmelo Anthony. 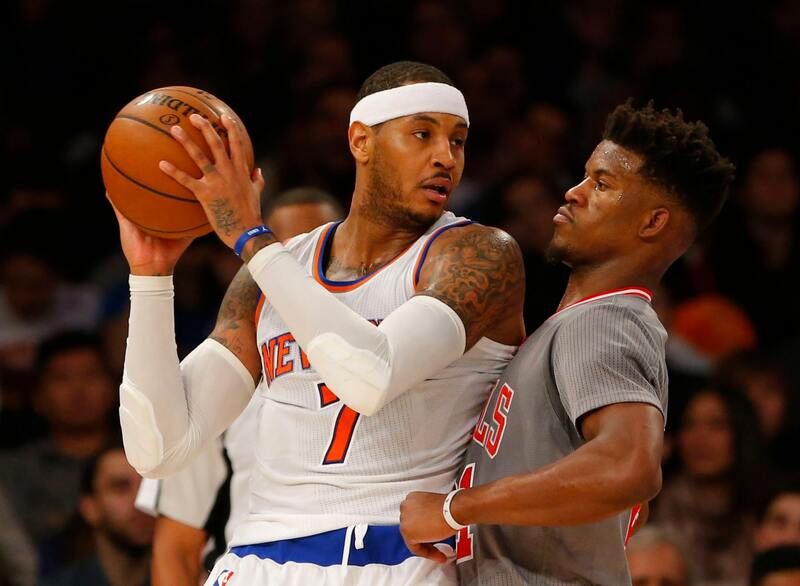 Anthony went to the playoffs for his first three seasons with the Knicks, his age 26, 27 and 28 seasons, but has not reached the postseason since. He’s not blameless in that scenario, but the number of Knicks front-office failures that helped facilitate that uncompetitiveness are too long to list. 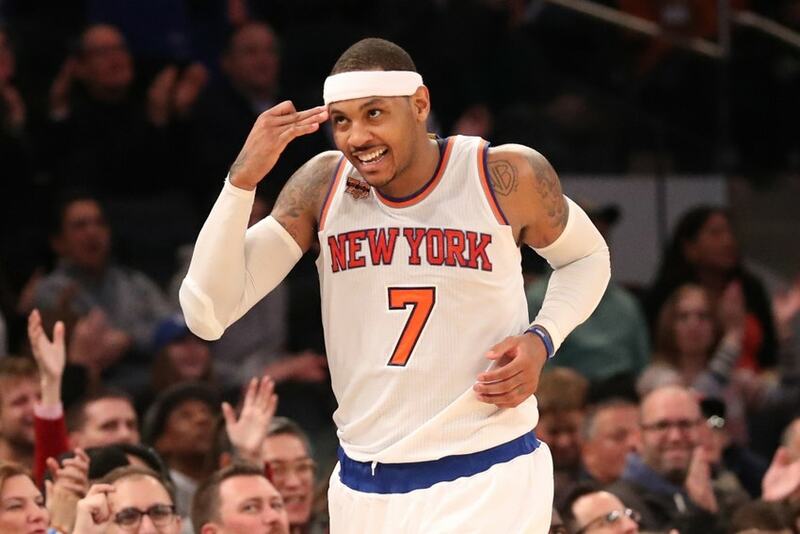 Anthony is now in his age 32 season, no longer the same All-Star caliber player he once was. He’s a wonderful complementary option for a contending team, but the in-fighting and passive-aggressive politics of the Knicks organization could end up preventing him from ever coming close to winning a title. One thing is certain — he won’t be able to do it in New York. That waste, along with dozens of other failures, has turned a bad situation worse for the Knicks — things have reached a fever pitch when it comes to drama. Melo and Jackson are fighting, the Oakley incident put Dolan in the spotlight again, and, in short, everyone is angry about almost everything. It’s a toxic environment and the tabloids are loving it. The Bulls are creating the kindling for a similar bonfire. The firing of Tom Thibodeau, Butler’s first coach, was anything but clean, and well into year two of Hoiberg’s tenure, there is still bad blood between the Bulls’ best player and his bosses. 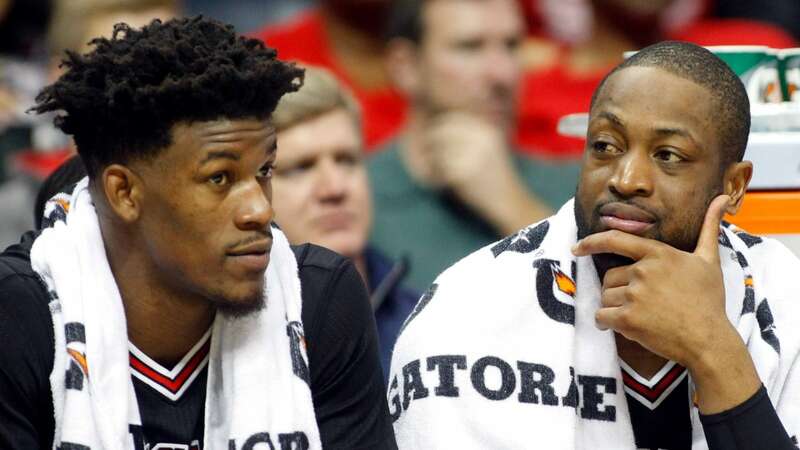 This week, an assistant coach told the Chicago Tribune that he wasn’t a spy for the front office and the front office refused to say that Butler was untradeable, despite the fact that there’s little indication they’re going to trade him. It’s that kind of stuff, when paired with failure, that can create big explosions. The toxicity is building around the Bulls — so much so that there’s a growing belief that Rondo’s second-year option might be exercised. The NBA is big business, and there’s new money coming in every day — money that isn’t keen on doing business as usual. In this high-pressure environment, the Knicks should be a cautionary tale to the rest of the league’s owners, but instead of looking at what the Knicks have done and actively avoiding the same fate, Chicago seems to be copying New York’s blueprint for failure: Weak, feckless ownership; out-of-touch leadership; out-of-their-league coaches; and star players that willingly engage in drama and aren’t keen to leave town. Will anyone save the Bulls from the terrible fate that awaits them should they continue on this path? It’s unlikely — did anyone save the Knicks?